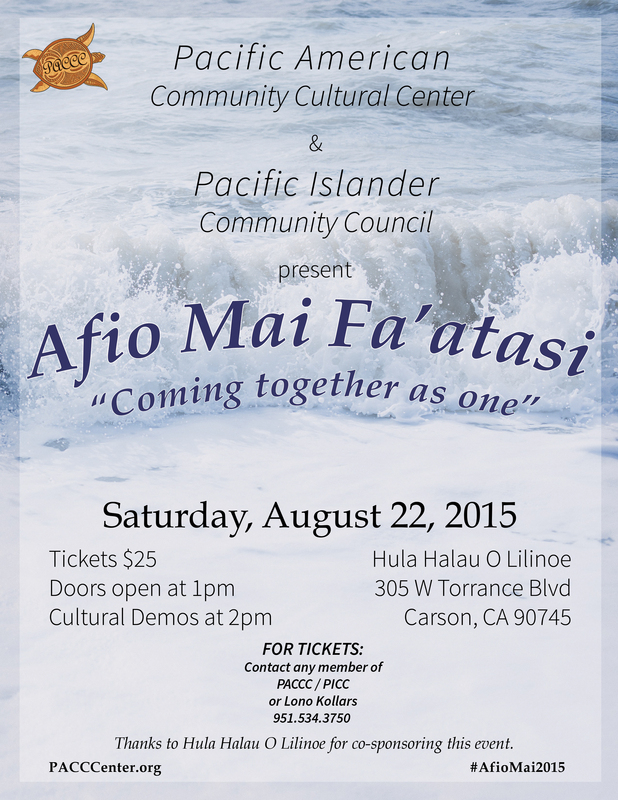 Afio Mai Fa’atasi welcomes the coming together of Pacific Islanders. 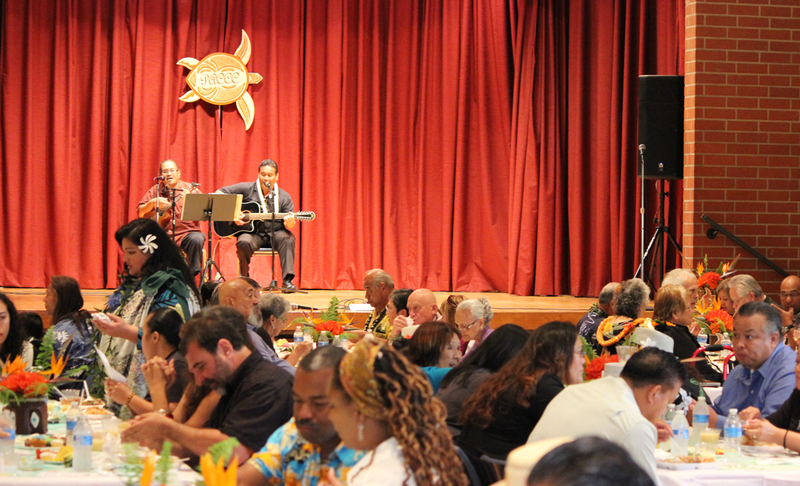 The annual celebration is a collaborative effort of the Pacific Islander Community Council (PICC) and the Pacific American Community Cultural Center (PACCC). The event will be held Saturday, August 22nd at Hula Halau O Lilinoe in Carson, CA. The celebration is an opportunity for both organizations to share their accomplishments with the community-at-large and garner support for ongoing programs. Afio Mai Fa’atasi is a day of sharing cultural traditions, music and dance, and a variety of island foods prepared by members of PICC. Tickets are $25 per person. Doors open at 1pm and cultural demonstrations begin at 2pm. For more information and ticket purchases, please call Sharon Paulo at 951.575.5772 or Lono Kollars at 951.534.3750. Both organizations are also recruiting members and volunteers; please visit the information table at the event to learn more.